My name is Rosa Ixcel Montero Cardozo, I was born on August 3, 1994; I come from a family of eight siblings, I studied elementary school in the Eduardo Abaroa Educational Unit, then the secondary school in the Junín National School in Incahuasi and I finished my studies in Pedagogy, in Mayor Real University and San Francisco Xavier Pontifical University of Chuquisaca in Sucre. Today I am in the place where I was born and grew up, Incahuasi, which is located in Nor Cinti province of the Chuquisaca-Bolivia Department, at an average height of 2,970 meters above sea level. Its main river is the Incahuasi and it also has a large stream, called “Agua y Castilla”, from which our drinking water arises. In its sub-Andean strip, it is formed by a homogeneous plain, with a climate ranging from mild to cold. Formerly, this territory constituted the border area between the Quechua and Guaraní cultures. 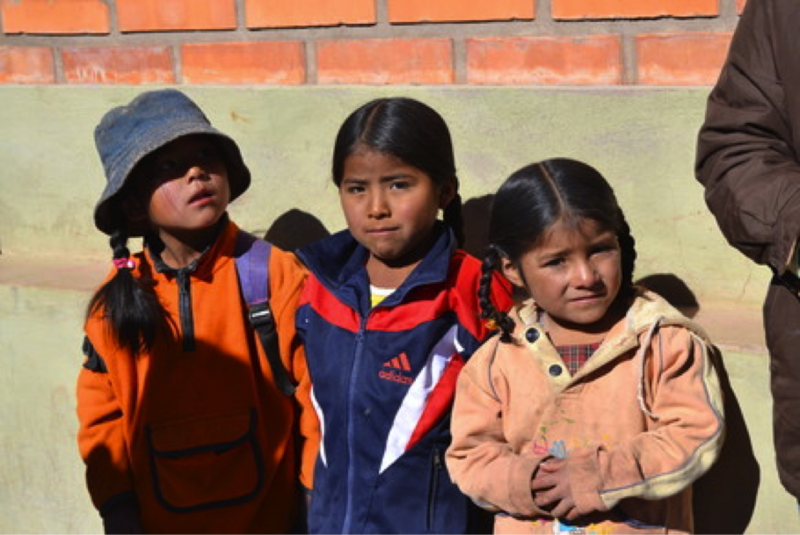 The origin of the current population is Quechua, however, the most spoken language is Spanish in the populated area. 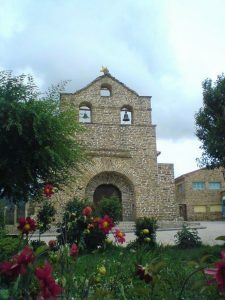 One of the main tourist attractions of the Municipality is the Church, whose construction, in pure stone laja, goes back to the colonial era. The myths of the place tell that the church was built by the same Incas, who were robust men of more than 2 meters high, who managed to build the church in one night, before the rooster crowed, because the Virgin of the Rosary (who nowadays is the patron saint of Incahuasi) warned of the arrival of the Spaniards to the place. Incahuasi is an eminently agricultural municipality; the production is highly mechanized, mainly in relation to potato crops (which stand out for their high yields), wheat and corn, among others. For its own production, its typical dishes stand out: roast pork, spicy chicken and the rich peanut soup that is not lacking in any ceremony, and we also can’t forget the delicious “chicha”. In Incahuasi there are also two large festivities: the Temptation Entrance and the Entrance in honor of the Virgin of the Rosary, patron saint of the place, where visitors can sample both indigenous and folkloric dances. 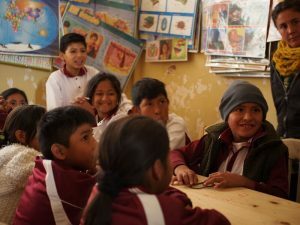 But Incahuasi is also a land of education and students, so currently, the Municipality of Incahuasi has 32 Educational Units, between primary and secondary levels. Both young people and children of the various communities that belong to the municipality seek improvement, despite their limitations in acquisition of educational material and having to travel long distances to finally reach their Educational Unit every day, throughout the year. 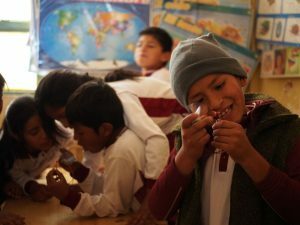 In spite of the difficulties of any kind, they manage to smile, because they are all friends and the help is mutual through their mother tongue: Quechua. Among their games are hopscotch, and they play ball too, often with a makeshift ball; they run and jump barefoot or only with sandals. 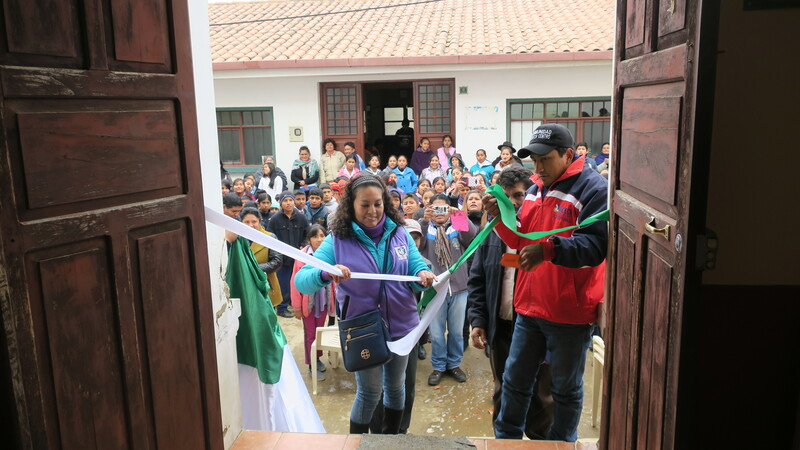 Therefore, the creation of a library to reinforce what our students in the municipality of Incahuasi learn in the classroom was very necessary. Nowadays, being a librarian in my municipality and having received guidance on its use and management, I believe that we can work in different ways; that a library should not always be a symbol of just reading and nothing else, and that a librarian should not always be serious as a rule. Being able to be part of a world of diverse stories and theories; where a book is the ticket to a world without limit of imagination and information; it motivates me to convey this to the users of our library. 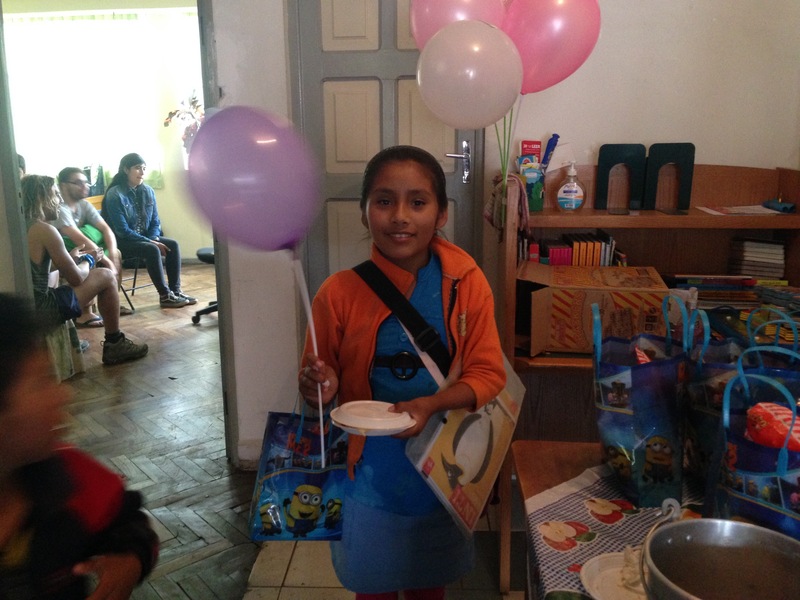 If you would like to help Rosa at our library in Incahuasi, why not become a volunteer! 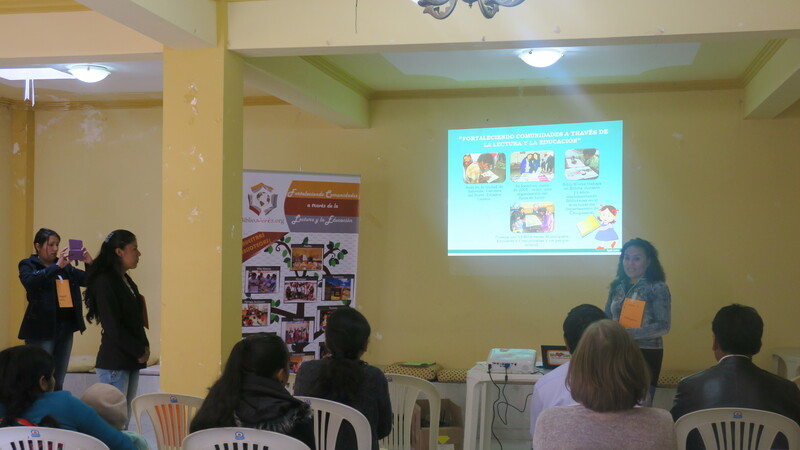 This past Friday, our library at Barrio Japón hosted its first community science class! 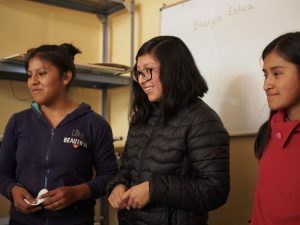 The class was taught by university and high school students from local organizations Peque Innova and Tu Ciencia Joven, whose mission is to promote the learning and application of science, technology and innovation in younger generations here in Bolivia. Twenty students from the local elementary school in Barrio Japón took a field trip to our library in lieu of their usual lesson, and were treated to a morning of fun activities, building wind-powered electric conductors (powered in reality by the students’ own breath!) and learning about various types of energy and the importance of conserving natural resources. This event was truly a great success; the students were so excited to be a part of the class, especially when they were successful in turning on the small red light attached to their homemade wind turbines! A big thank you to our volunteers for helping out during the event, and to Peque Innova/Tu Ciencia Joven for teaching our local students how fun science can be! 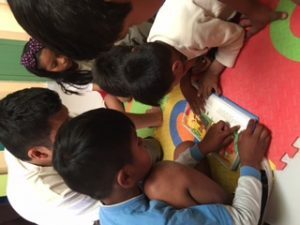 At Biblioworks, we rely heavily on our volunteers (both local and abroad) to help us implement educational programming at our libraries for the local communities we serve. If you would like to volunteer with us and help create other educational events or programs, please send us an email at volunteer@biblioworks.org. 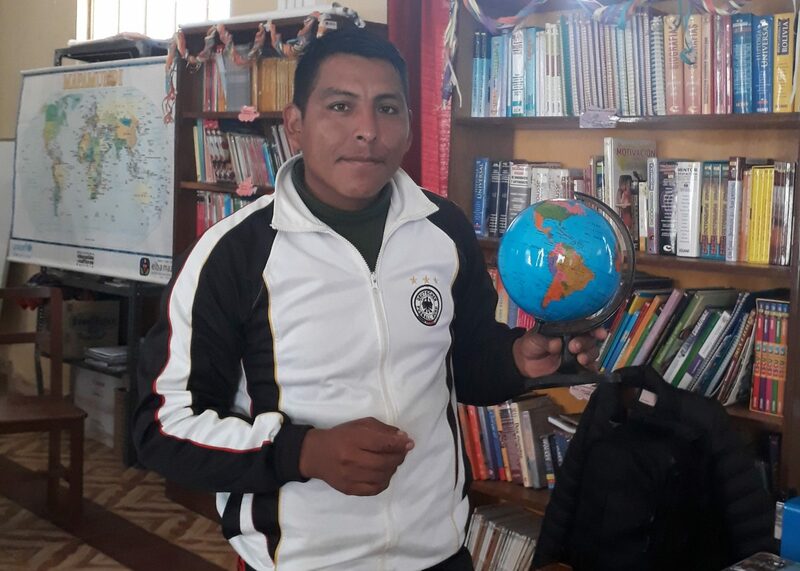 Sixto Vargas Pachacopa is 29 years old, born in the community of Fuerte Rua, and is responsible for our library in the Municipality of Tomina. He finished his studies with much effort, and graduated with honors from the CEA (Center for Alternative Education). Currently, he is in the second year of his agriculture studies at the José Martí Institute, where he studies in the mornings, and during the afternoons he is a librarian. 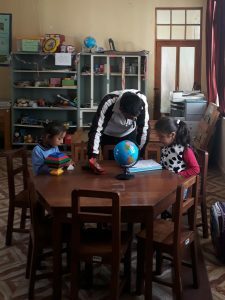 From the age of 15, he began to attend meetings in his community because his father was sick, and later, was elected catechist leader to teach classes to children. At 18, he was hired to be a journalist, using the training he received at ACLO (radio station). In August of 2017, he was elected to be the president of the Municipal Youth Council, and he is currently the Secretary General of the José Martí Institute of the Municipality of Tomina. To be a professional, and to own his own enterprise as an agricultural producer in his municipality; in this way, he can help the people that need it the most by giving them the opportunity to work. He also wants to continue learning and specialize in agricultural issues. Biblioworks recently opened a new library! The team is proud to announce that the Barrio Japon library is now up and running. The Barrio Japon library stands out as a bright, vibrant, colorful center for children to play games, learn, and read. While the library encourages play, the area schools also utilize the library as a helpful resource for work. Every morning during the school week, elementary school teachers bring their students to the library to study and work on their assignments. After lunchtime, the library remains open as a designated study hall space. 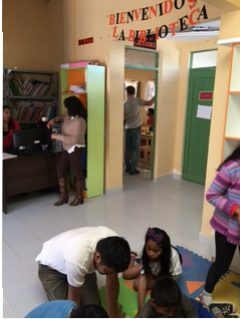 Afterwards, the center becomes a place for students to play and read books. The library has two rooms: one for elementary school students and one for high school students. Biblioworks volunteers spend time at the library in the afternoons to help students with homework, and the staff is working in the library while school teachers create a schedule for the library to be open in the evenings. 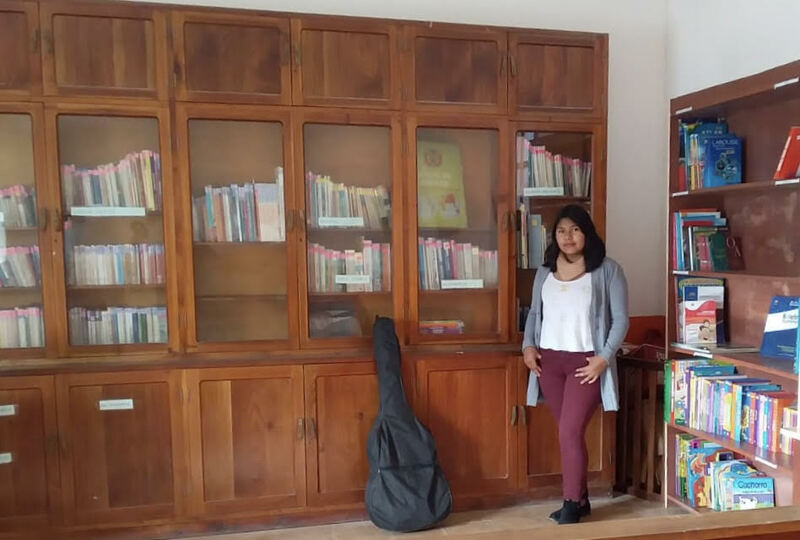 While in Bolivia, Maritza, the Biblioworks Director in Bolivia, reported that this library has become a “haven” for many children. 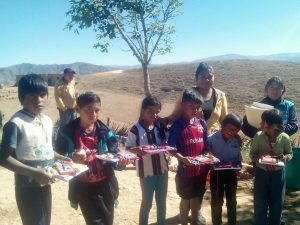 Recently Bolivia has faced violence towards children, including that of physical, sexual, and domestic abuse, alongside child labor. One of the reasons these hardships arose stems from parents working long hours in the city, where children are left alone in result. 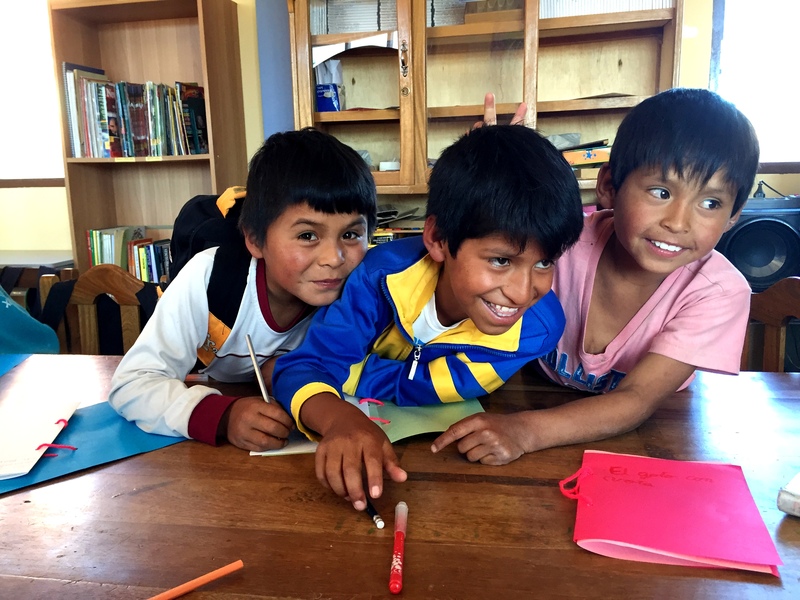 In face of these challenges and struggles, the library is a place where kids are able to escape such harsh realities and “be children again.” The library is a place where children can be carefree, inquisitive, and happy. 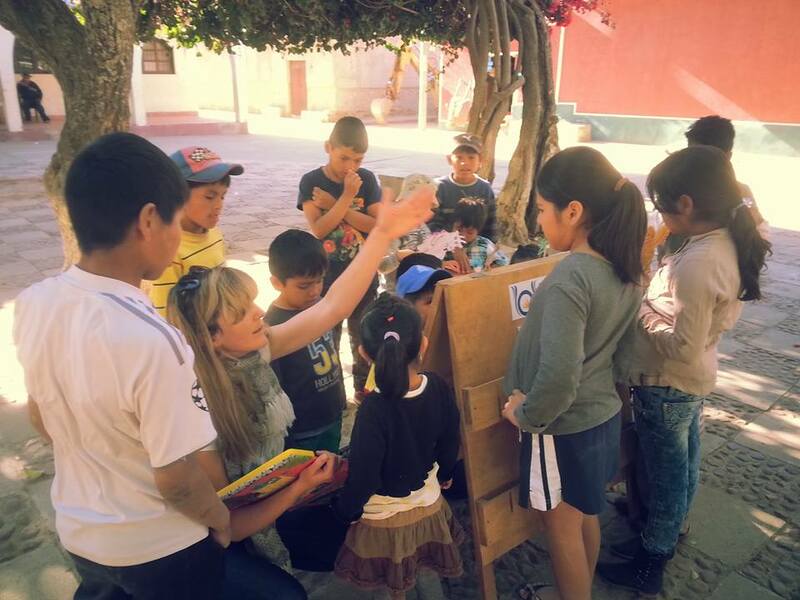 Here at Biblioworks, we are very proud of the Barrio Japon Library and the way it is already impacting the community around it! Sucre Lee is Coming Up! Get Ready for Sucre Reads! The April Literacy Event, Sucre Lee, is in just a few weeks! 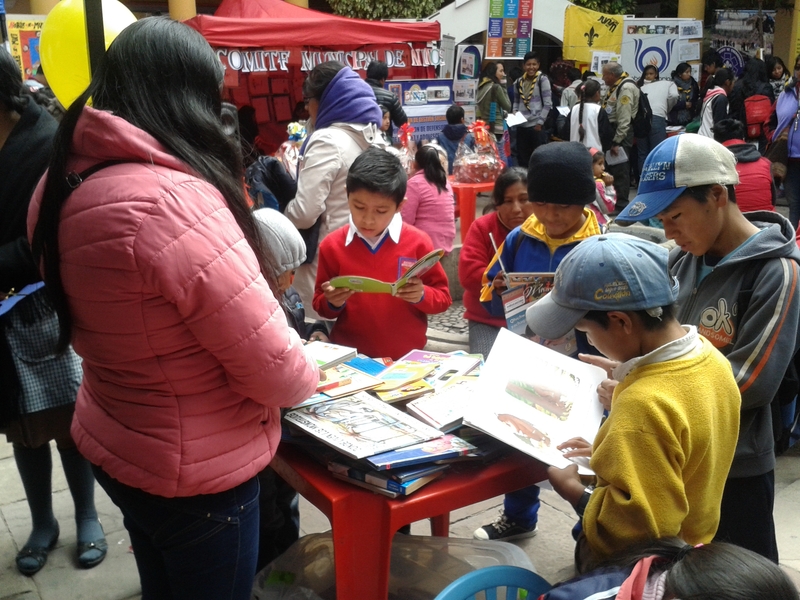 This is Biblioworks’ biggest event of the year where reading itself will be celebrated across Sucre, Bolivia. 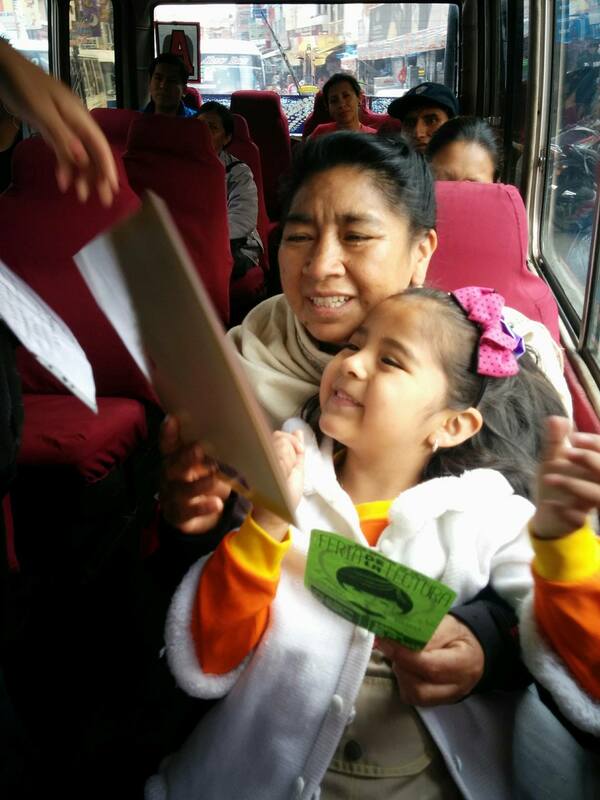 At the event, Biblioworks staff and volunteers will board buses across Sucre. Once on the bus, they will then explain who Biblioworks is: an organization that fosters literacy and builds libraries. Our representatives will then distribute reading materials and read a story to those onboard. Sucre Lee highlights the beauty within literacy and the magic that reading encompasses. 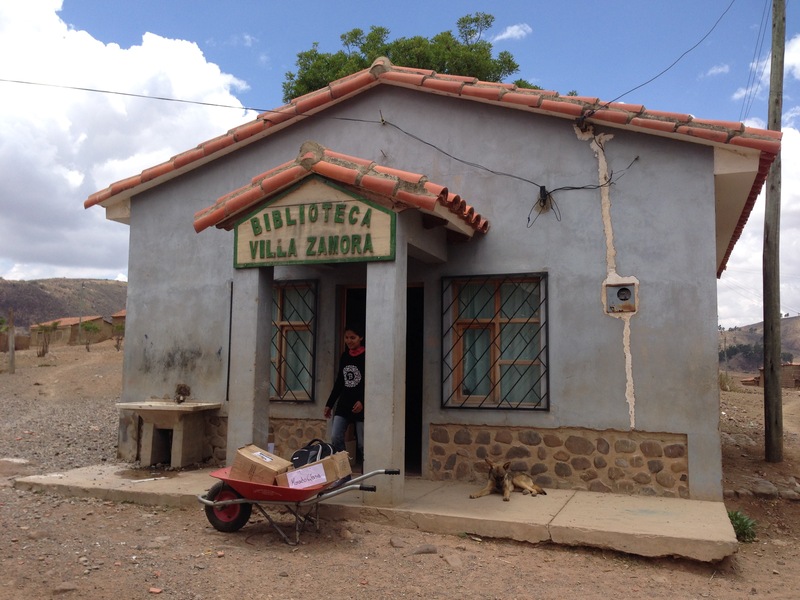 Biblioworks will become more engaged and involved with the Sucre, Bolivia community, and more people will know about the services our libraries provide. This is sure to be a fun day for everyone! 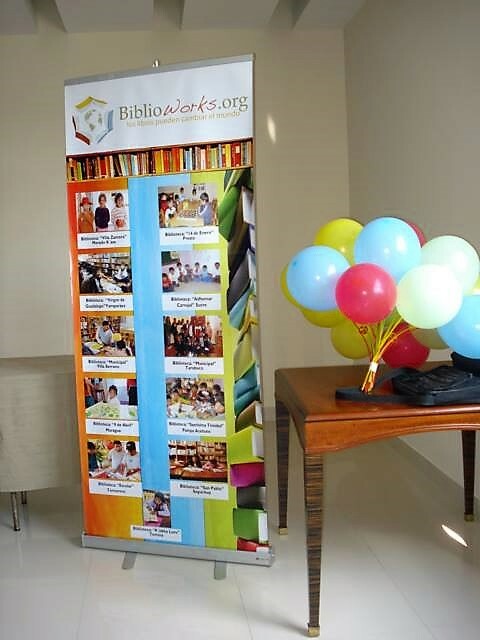 We need your help to better spread Biblioworks’ message across the Sucre community in upcoming weeks. Donate today to support the implementation of Sucre Lee! New Office to Plan Sucre Lee! 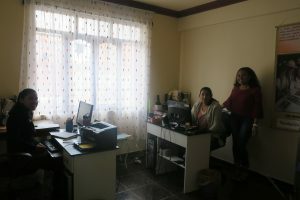 Our team in Sucre recently moved into a new office to better accommodate their hard work! The office is an approximately 15 minute walk from the central plaza of Sucre. According to Delphine, our Volunteer and Communications Director, it has a very nice and homey atmosphere. 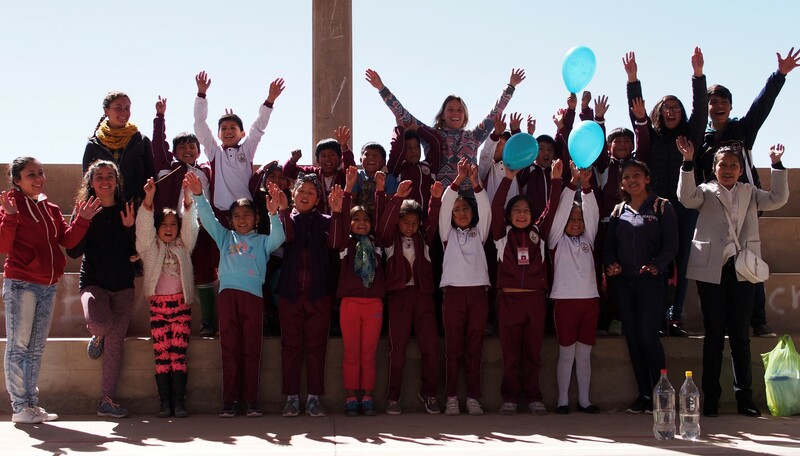 Here, our team in Bolivia will continue their awesome work to promote literacy, build sustainable libraries, and positively impact communities in Bolivia. 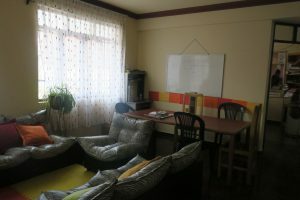 In the new office, our team will be planning the April Literacy Festival, Sucre Lee. At this event, staff and volunteers will board buses in the Sucre area and distribute books as well as facilitate discussion about why reading is so important. Not only will staff explain who Biblioworks is and the work they do, but they will also advocate for participation in community libraries and reading itself. Through Sucre Lee, the love of reading and Biblioworks’ message will be spread across Sucre. Please click here to learn more about this event in April and donate to help support Sucre Lee. We Have a New Fundraising & Outreach Coordinator! We have a new Fundraising and Outreach Coordinator on our team! 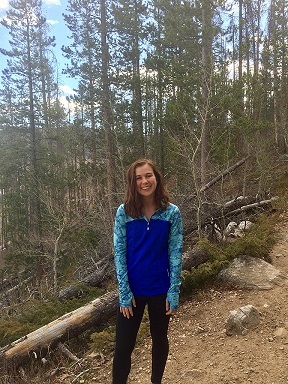 Kaitie Hess is a second year student at Grinnell College studying anthropology with a concentration in global development studies. Within that, she is interested in both environmental and educational studies. Someday, she dreams to see a world where everyone is given equal educational opportunity, and she believes literacy is a crucial step towards that goal. Outside of the classroom, Kaitie has worked as a tutor, teacher’s assistant, and planned an interactive environmental class for young children. Her passion for both learning and reading led her to Biblioworks, and she is very excited to begin working for our organization. Through her experience with our organization, she looks forward to learning more about the nonprofit environment as well as connect with people interested or invested in Biblioworks. If you want to reach out to Kaitie to say hi, ask a question, or tell her about your experience with Biblioworks, please email her at internbiblioworks@gmail.com! 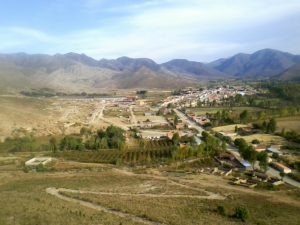 Set at the foot of the Andean Mountain Range about two and a half hours East of Sucre, the town of Padilla is picturesque with its serene landscape and cooler weather. In addition to its beauty, Padilla recently became the newest location for BiblioWorks’ 13th library! On June 1st many places around the world recognized International Children’s Day, and BiblioWorks was of course one of them! Children are our future, and by empowering them with literacy we are able to help them reach their full potential. In such light children around the globe deserve to be both acknowledged and appreciated. One child in particular stands out amongst the crowd: Lizeth Onofre. 3 BiblioWorks staff members, 2 interns, 11 volunteers, 2 scouts and 10 zebras*. 100 books for bus drivers, 150 posters, 200 flyers, 50 copies of Inti magazine, 370 books for passengers. Yesterday we had the opportunity to visit the first library that Biblioworks opened in the region of Sucre, today we met one of the newest ones: Maragua.